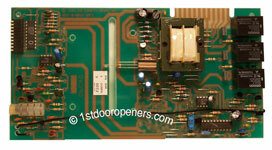 Stanley Garage Door Openers have not been made for many years. Below are the only repair parts still available and the only information about the parts is listing with it. If you do not see the part you are looking for, then it is time to replace your unit. Compatible with all Stanley garage door openers from 1993 – to current that are equipped with safety sensors. Includes mounting brackets, fasteners, and installation instructions. Stanley garage door openers mounting brackets for older style sensors 49522. Compatible with Stanley chain drive garage door openers from 1982 to current. Includes carriage assembly, inner slide, and master link assembly. 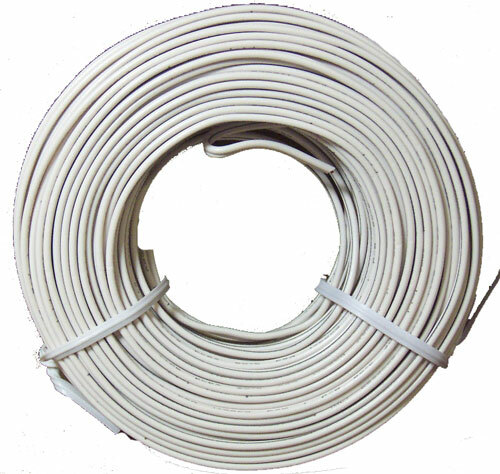 Compatible with Round Tube Style Rail ONLY. Release Cord and Knob for all garage door openers. Same as old part number 370-1965. For Stanley chain drive garage door openers. NOT for Stanley Quiet Glide garage door openers. Stanley garage door openers chain guard. 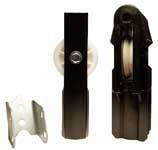 Rear tube support for Stanley Quiet Glide garage door openers ONLY. This part has no chain tensioning assembly. Compatible with all Stanley screw drive garage door openers from 1993 to current. Recommended lubricant LUB7 pictured below. Release Cord and Knob included. For motor shaft side ONLY. Coupler for rail/screw side is not available. Compatible with Stanley screw drive garage door openers 1993 to current. The 36850 limit switch will replace the obsolete 49222 limit pictured on the right. Compatible with all Stanley screw drive garage door openers that have safety sensors. NOTE: The 49222 limit included both limits and wire. The new part 36850 limit switch is sold individually and includes a short length of wire to splice into existing wire and the connectors to do so. If you need to replace both limits, order two. Compatible with Stanley garage door openers from 1993 to current. Stanley garage door opener gear case housing cover assembly. Compatible with Stanley Quiet Glide chain drive garage door openers made after 1998. Same as 49590. Compatible with model numbers AT2000, FM200, RT405, ST105, ST205, ST305, ST405, ST505, ST605, SW115, SW215, SW315, SW515, SW615, TT301.B09, UT105, UT205, UT305, UT315, UT405, UT505, UT605, WH355, WH455 and WH655. Stanley garage door openers gear case cover replacement kit. Compatible with Stanley chain drive garage door opener model numbers 40, 320, 400, 440, 470, 520, 550, 570, 810, 860, 960, 1200, 1205, 1500, 1505, 1800, 1801, 1805, 1806, 2200, 2205, 2500, 2505, 3200, 3201, 3205, 3206, 3210, 3215, 3220, 3225, 3500, 3505, 4505, 5200, 5400, 5400C, 6000, 6005, 6200, 6500, 6500c, 6505, 6700, 7000, 7005, 7100, 7105, 7200, 7205, 7300, 7305, 7400, 7405, 7500, 7505, 7600, 7605, 8500, 8700, 9600, AT2010, AT2020, BT200, CT405, CT505, D1000, D1001, D2000, D2001, GL450, GT200, GT201, GT300, GT301, GT400, HD301, MT310, PC405, PC505, PT210, PT211, PB240, PT300, PT301, PL500, PT600, RT100, RT200, RT400, RT401, SB600, SL700, ST100, ST101, ST200, ST201, ST300, ST301, ST400, ST401, ST500, ST501, ST502, T130, T135, T140, T145, TT100, TT101, TT200, TT201, TT300, TT301, UB210, UB400, UL500, UT200, UT201, UT300, UT301, UT502, V1000 and V2000. Includes Gear Case, 3/4oz tube of grease. No internal gears are included. Older part numbers 370-1947 and 370-1946. For Stanley chain/cable garage door openers ONLY. NOT for FULL CHAIN openers. Replaces older style front idler pictured on right. Stanley garage door openers cable repair kit. For chain and cable door opener models only. Master link is NOT included. Stanley garage door opener pulley. For chain and cable models only. NOT for full chain models. For Stanley Chain/Cable or Full Chain Drive garage door openers. NOT COMPATIBLE with door opener models: GT400, PT600, ST305, ST405, ST505, ST605, SW215, SW315, SW515, SW615, WH355, WH455, WH655, 5400 Series or Quiet Glide models. Stanley garage door openers limit knobs. 220 V garage door opener capacitor. 43 - 53 Micro F range. 53 - 64 Micro F range. 64 - 77 Micro F range. Stanley garage door opener dual light socket. For most Stanley garage door openers. Replacement door bracket for Stanley garage door opener. Stanley garage door openers straight arm. Same as older part number 49363. Stanley garage door openers curved arm. Same as older part number 49362. D1001, D2001, GT201, GT301, HD301, RT401, ST101, ST201, ST301, ST401, ST501, ST502, TT101, TT201, TT301, UT201, UT301, UT502, PT301, PT211, UT201. AT2000, AT2010, AT2020, FM200, RT405, ST105, ST205, ST305, ST405, ST505, ST605, SW115, SW215, SW315, SW515, SW615, TT301.B09, WH355, WH455, WH655, UT105, UT205, UT305, UT315, UT405, UT505, UT605. Stanley garage door openers magnet assembly. For Quiet Glide garage door openers ONLY. This part is located on the end of the motor shaft and is compatible with 49565/3318 controls boards only. SD320, SD350, SD450, SD550, GD350, GD355, RD350, PT325, PT326, UT350. SD351, SD451, SD551, GD351, UT341, UT351. Stanley 40 MHz circuit board. This board was redesigned by Stanley and can be used with all models listed. It is smaller in size than the 921-3528 but will mount and function the same. Compatible with Stanley garage door openers made from 1993 – 1996. Compatible with opener models D1000, D2000, GL450, GT200, GT300, GT400, MT310, RT100, RT200, RT400, SB600, SL700, ST100, ST200, ST300, ST400, ST500, TT100, TT200, TT300, V1000, V2000, BT200, PT210, PB240, PT300, PL500, PT600, UB210, UB400, UL500, UT200, UT300, V1000, V2000. NOT compatible with Stanley garage door openers using safety sensors. Compatible with opener models 1200, 1205, 1500, 1505, 1800, 1805, 1801, 1806, 2200, 2205, 2500, 2505, 3200, 3201, 3205, 3206, 3210, 3215, 3220, 3225, 3500, 3505, 4100, 4505, 5350, 5360, 5400, 6000, 6005, 6500, 6505, 7000, 7005, 7100, 7105, 7200, 7205, 7270, 7300, 7305, 7400, 7405, 7505, 7500, 7600, 7605, T120, T125, T130, T135, T140, T145, 250, 300, 320, 400, 440, 470, 520, 550, 570, 600, 810, 860, 900, 960, 5200, 5400C, 6200, 6500C, 6700, 8500, 8700, 9000, 9600. Stanley garage door openers voltage surge protector. Stanley garage door openers worm gear. For Quiet Glide machines ONLY. This part has been removed from a brand new power head and packaged for resale. Stanley garage door openers drive gear. Stanley garage door opener drive gear. For Stanley garage door openers with standard (7' lift) tube/rail assembly. NOT for door openers lifting 8' high garage doors. Includes Chain & Cable ONLY. Stanley chain drive sprocket on top of power head. Stanley garage door openers light lens. This part may be slightly used or scratched but NOT broken.